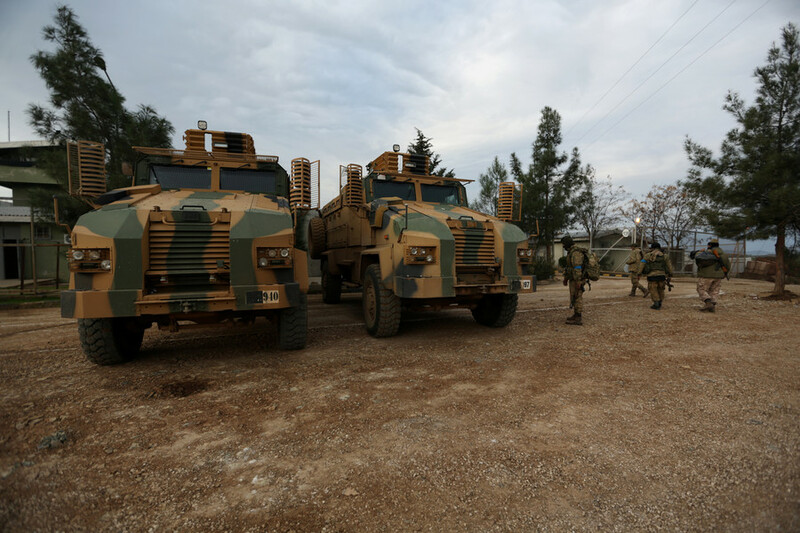 Turkish forces have attempted to prevent the convoy of pro-government Syrian militias from entering the Kurdish-held Afrin, unleashing a barrage of artillery fire which hit close to media covering the deployment. A reporter, apparently working for Al Mayadeen pan-Arabist satellite television channel, has narrowly escaped being struck by a shell that landed a few hundred meters down the road from the crew's position. The video, obtained by RT’s Ruptly video agency, show the correspondent reporting live on camera as a projectile narrowly misses his position. 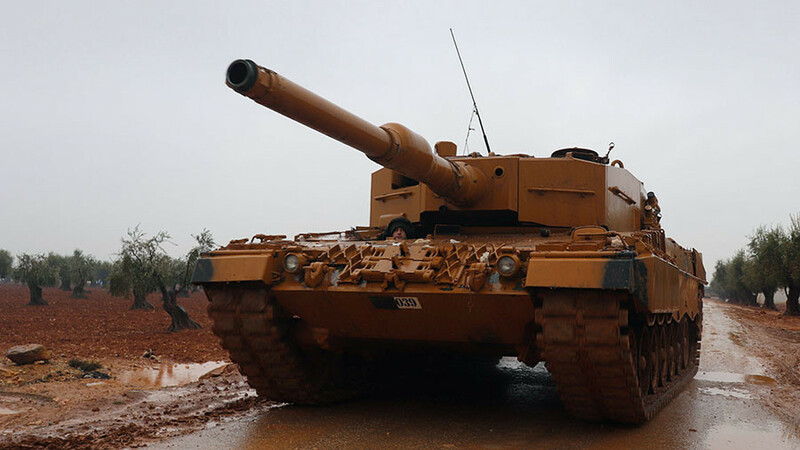 “Turkish forces targeted with artillery the locations of the popular forces upon their arrival in the area of Afrin, in addition to targeting media delegations that are covering the arrival of the forces,” Syrian SANA news agency’s reporter in Afrin confirmed. 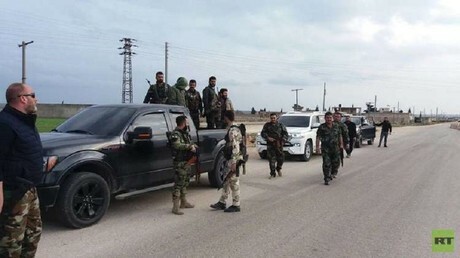 While SANA reports that the “popular forces” comprised of Shia militias have established themselves in the region to support the Kurds against terrorists and the “Turkish aggression,” Recep Tayyip Erdogan on Tuesday claimed that the Syrian forces’ advance into Afrin was thwarted. “They were forced to go back after artillery shooting,” the Turkish President said, noting that “Afrin city center will be besieged in the coming days.” Earlier, Turkey said they it fired “warning shots” at Syria pro-regime forces in Afrin, claiming that militias were forced to fall at least ten kilometers back. 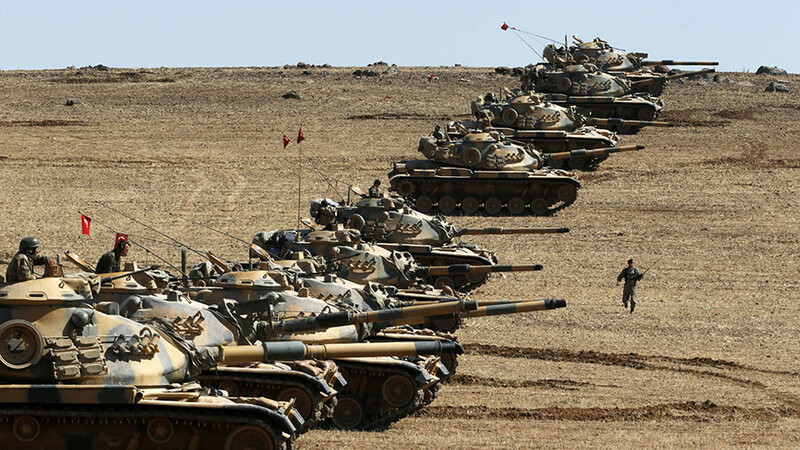 Turkey, which has been conducting the so-called operation Olive Branch in Afrin since January 20, insists that the offensive is solely aimed at wiping out Kurdish “terrorist” fighters along its borders, denying allegations that it has targeted civilians. 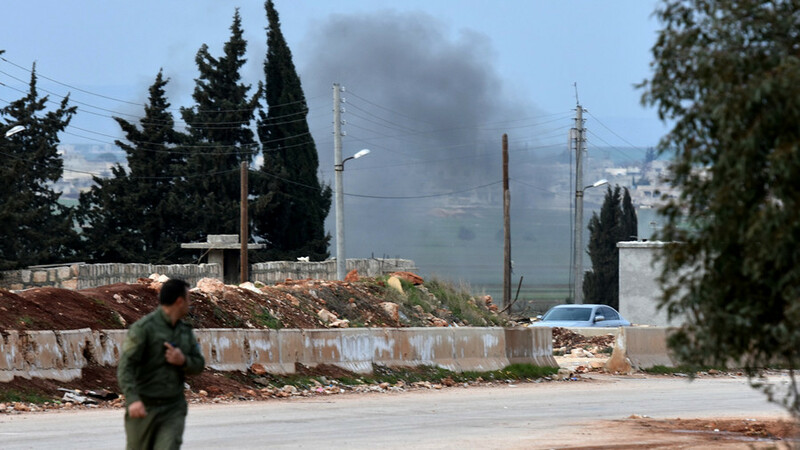 Medical sources at Afrin Hospital, however, told Syrian media that at least 175 civilians were killed and more than 450 wounded since the launch of the Turkish operation in northern Syria. 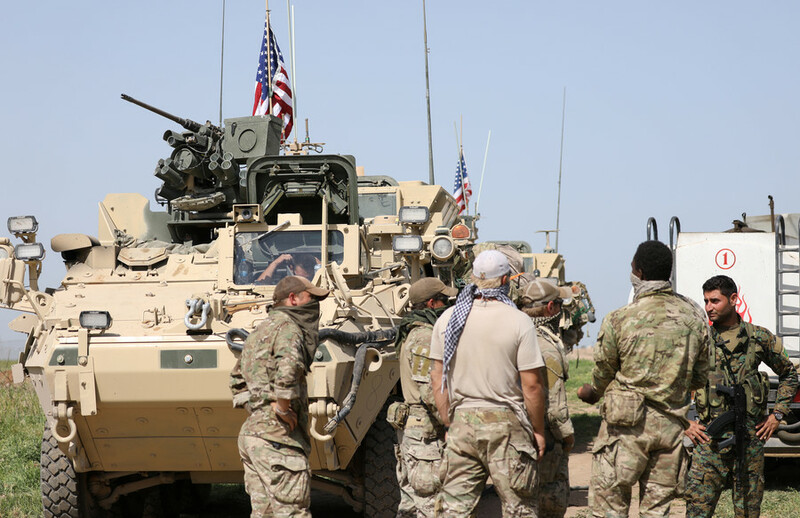 Ankara’s operation, which aims to create a 30km “secure zone” within Syrian territory, has repeatedly been denounced by Damascus as a blatant attack on its sovereignty. 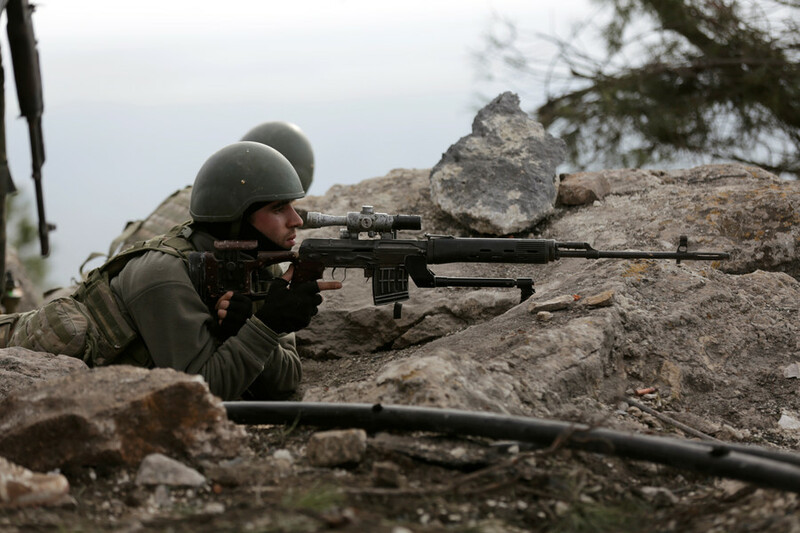 Seeking protection, the Kurdish authorities in Afrin called on the government to send troops to help defend the border from Turks.